My pal Kevin and I remained friends for more than 30 years. Obviously no one can maintain such a long relationship if they have nothing in common, and Kevin and I shared a mix of similar preferences and traits. That reflects our taste in movies – to a degree. Sure, we both love the Alien films and some comedies like Quick Change, but we also disagree at times. Kevin tends to dig camp more than I do, which is why he delights in Valley of the Dolls, a flick I consider to be borderline unwatchable. For years, Kevin raved about 1994’s Serial Mom. For years, I refused to see it. Kevin embraces the ultra-campy world of John Waters much more than I, and to be honest, the boy made me sick of the movie. He quoted and referred to it so much that I could barely stand to hear its title. Nonetheless, I eventually decided to give it a look. Mom stars Kathleen Turner as Beverly Sutphin, a housewife in a Baltimore suburb who lives with her dentist husband Eugene (Sam Waterston) and kids Chip (Matthew Lillard) and Misty (Ricki Lake). On the surface, Beverly appears to be as normal and average as could be, but her Cleaver-esque exterior hides a darker side. We first see this via the obscene phone calls she makes to torment her neighbor Dottie Hinkle (Mink Stole). Beverly’s behavior becomes more serious when Chip’s math teacher (John Badila) questions his home environment. Her response? She runs him over with her car. This launches Beverly on a homicidal rampage intended to stamp out anyone who doesn’t live up to her standards, and she becomes a cult hero in the process. Like I said earlier, my friend and I often agree on movies – but not this time. Unlike Valley of the Dolls, I don’t actively dislike Serial Mom, but for the life of me, I can’t see why Kevin so adores the flick. It provides an occasional laugh but not much more than that. As with many Waters films, Mom boasts a fun premise. The idea of the all-American mom who slays at the slightest provocation opens up to a myriad of possibilities, a few of which the film explores. It shouldn’t be tough to find the comedy in such a clever idea. Unfortunately, Mom only occasionally brings out the humor. Like virtually all of Waters’ flicks, it usually seems more preoccupied with random bits of perversity, a common theme in his work. Waters wants to remind us that depravity lurks on every corner and the average Joe next door might hide some freaky fetish. Okay, John, we get it - you’ve flogged that horse for years. That trend would reach its peak – or nadir, depending on your perspective - with Waters’ A Dirty Shame, a sporadically amusing movie that often seems like nothing more than a recitation of fetishes. Mom doesn’t focus on freaks in such a way, but it does cover some of the same territory. When it sticks with suburbia and Beverly, it does okay, but when it veers into other areas, it falters. Actually, I think the parts with Beverly work the best not because of Waters’ script but because of Turner’s performance. She’s easily the best thing about Mom, as she turns in a gleefully wicked turn as the insane housewife. Unlike most of her co-stars – since unabashed, painful overacting abounds here – Turner manages to border on camp but not get swallowed by it. She gives Beverly a broad vibe but still manages nuance in the part. Turner clearly had a blast in the part and its shows. Otherwise, Serial Mom offers spotty pleasures at best. Even at a mere 94 minutes, it seems too long, and it does work better as a concept than as a film. I got a few minor laughs out of it and that was all. Serial Mom appears in an aspect ratio of approximately 1.85:1 on this Blu-ray Disc. Despite some concerns, the image usually seemed fairly good. Sharpness usually worked fine. A few wide shots could be a little tentative, but most of the movie boasted fairly positive delineation. I noticed no problems with shimmering or jaggies, but mild edge haloes showed up at times throughout the film, and those created distractions. As for print flaws, I noticed a handful of small specks but nothing too bad. Colors appeared adequate. The film stock tended to be a little dense, and that trend reflected here with hues that could seem a bit on the brownish side. Still, the tones came across with reasonable clarity and vivacity, so they held up fairly well. Blacks offered positive depth, and low-light shots seemed good. Shadows displayed appropriate smoothness and clarity. While I think the transfer could offer improvements, the image still looked more than adequate. Don’t expect much from the ordinary DTS-HD MA 5.1 soundtrack of Serial Mom. Music offered good stereo imaging, and effects broadened horizons to a moderate degree, but not a lot of ambition occurred here. Various elements cropped up across the front to add some breadth, but the mix remained low-key much of the time. Surround usage was insubstantial. If the rear speakers added anything to the presentation, I didn’t notice it. The back channels may have bolstered the front in a minor way, but I thought they didn’t do much. Audio quality was good. Speech seemed natural and concise, without edginess or other problems. Music showed nice life and seemed reasonably robust. Effects fell into the same range, as those elements were clean and distinctive. This became an acceptable mix for a comedy. How did the Blu-ray compare to the 2008 DVD? Even as low-key as it may be, the Blu-ray’s audio bettered the DVD’s mix. The DVD’s track suffered from some problems with localization that failed to reappear here, so the Blu-ray offered a superior mix. Visuals also worked better. The Blu-ray provided stronger clarity and colors as well as a decrease in print flaws. Though not a great transfer, the Blu-ray did top the DVD pretty easily. The Blu-ray offers the DVD’s extras plus one new component, and we find two separate audio commentaries. The first comes from director John Waters and actor Kathleen Turner, both of whom sit together for this running, screen-specific chat. They discuss how Turner came onto the project, other cast and performances, problems with the studio, locations and shooting in Baltimore, influences, and anecdotes from the production. This commentary comes with high expectations, and it occasionally lives up to them. Waters and Turner interact well and provide a mix of good notes about the flick. However, the track sags on occasion and never becomes quite as much fun as one might hope. I think it’s a worthwhile listen and an above-average commentary; it’s just not as terrific as anticipated. We also get a commentary from director John Waters all on his own. In this running, screen-specific chat, Waters discusses inspirations and the film’s connection to his other works, sets and locations, cast and performances, and a few other topics. It should come as no surprise that a fair amount of information appears during both commentaries. Actually, it’s not a gross overstatement to say that they’re essentially the same. Each one includes a little unique information but not a ton. And neither seems to work better than the other. The Waters solo track is less disappointing, but it’s not necessarily superior to the Waters/Turner chat. Both are good commentaries with a reasonable amount of useful information, and Waters proves enjoyable and funny much of the time. I’m not sure it’s worth your time to listen to both tracks, though, since so much redundant material appears. I’d pick this one as the better of the two - how often do you hear a director speculate about whether Monica Lewinsky rimmed President Clinton? In addition to the film’s theatrical trailer, the CE presents four featurettes. 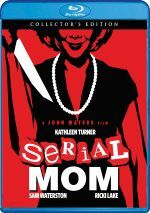 Serial Mom: Surreal Moments runs 29 minutes, six seconds as it provides notes from Waters, production designer Vincent Peranio, cinematographer David Insley, casting director Pat Moran, columnist/film critic Dennis Dermody, and actors Susan Lowe, Mink Stole, Patricia Hearst, Ricki Lake, Matthew Lillard, Sam Waterston, and Donita Sparks. “Surreal” looks at Waters’ early career and aspects of his production company, getting backing for the flick and pulling it together. It also examines casting and performances, set design and costumes, music, thoughts about the cult of the serial killer and “court hags”, and reflections on the end product. As a documentary, “Surreal” tends to be a bit all over the place. It jumps around its different subjects in a somewhat random way that can be a little distracting. Nonetheless, it offers some interesting information and good perspective, especially in the way it places the flick in the Waters roster. The Kings of Gore: Herschell Gordon Lewis and David Friedman runs 11 minutes, 26 seconds and features Dermody, Waters, filmmaker/entrepreneur Herschell Gordon Lewis, Grindhouse Film Festival’s Eric J. Caidan and Brian Quinn, and entrepreneur/producer David Friedman. The piece examines the origins of gory drive-in movies and the creation of Blood Feast, a flick featured prominently in Serial Mom. It alternates between memories of drive-in days and thoughts about the movie in a good manner that makes it entertaining. Up next, The Making of Serial Mom goes for six minutes, six seconds. Another piece also found on the 1999 DVD, this one uses Lake, Waters, Turner, and Waterston. The featurette offers a bland promotional look at the film that doesn’t give us any real info about the flick. New to the Blu-ray, In Conversation features Waters, Turner and Stole. All three sit together for a 34-minute, 27-second discussion of general movie memories such as other cast members, locations, various challenges and the like. “In Conversation” adds a decent look back at the shoot, though I wouldn’t call it great. We already learn a lot elsewhere, and some surprising leaps of chronology cause head-scratching. 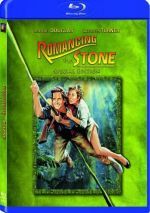 Primarily, all involved seem to think Turner filmed Serial Mom between 1984’s Romancing the Stone and 1985’s Jewel of the Nile. I might understand these memory lapses if the chronology was close, but Stone was a full decade prior to Serial Mom! Even with these odd tidbits, the program still adds some value. It’s an inconsistent chat but it’s worth a look. Maybe someday I’ll understand why my friend Kevin so adores Serial Mom, but today I remain perplexed. I don’t think it’s a bad movie, but it’s too often a dull one, as its laughs come too infrequently to make it more than a random success. The Blu-ray presents adequate picture and audio along with some fairly good supplements. If you’re part of the John Waters cult, I’m sure you’ll like this disc, but I don’t know if it’ll do much for the uninitiated.